to the Society of Chinese Warriors International (SCWI). 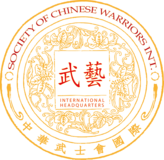 It was founded by Sifu Dirk Gomez y Rieser (Kästner) on 11 July 2010, following the example of a Chinese secret society with the same name and is worldwide unique by today’s knowledge and therefore unrivalled. The secret societies focused on martial arts and preserved and maintained martial arts and its cultural heritage in the shadows. The codes of conduct, valid up to these days in some systems, date back to that time. Members of such a secret society, traditionally led by a Sifu, were prosecuted and often punished by death. With the foundation of the Society of Chinese Warriors we would like to honour those, and to continue their pursuit to preserve and maintain martial arts and its cultural heritage. The Society of Chinese Warriors is focusing on Chinese Swordsmanship and Chinese Archery. It regards itself as a quality seal and would like to oppose the fast progressing dilution of martial arts on today’s market.